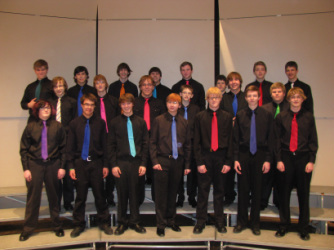 The Choirs at Brainerd High School enjoy a long history of community support. 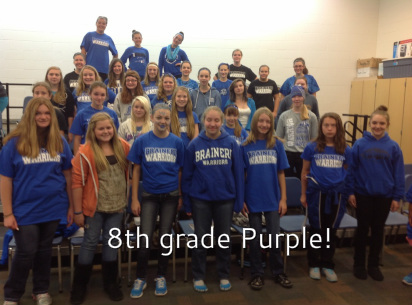 Being a part of a Brainerd choir is only one step in a life of singing. Many alumni point to their days in high school as an essential building block in their careers. We have students who conduct all levels of choirs across our country, from professional ensembles to public school choirs, from New York to Albuquerque. We have two time Grammy nominees, composers, opera singers, and an original founder of the American Choral Director's Association connected to our past. The future looks even brighter! 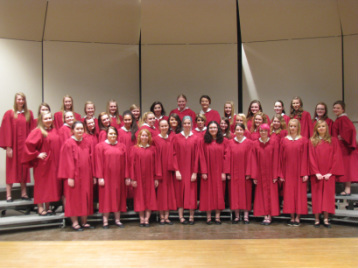 The Choirs at Forestview involve nearly three-hundred students in six performing choirs. In middle school, students in choir are exposed to typical experiences, such as routine rehearsals and performances. However, students also spend a great deal of time learning about music theory, concert etiquette, varied styles of music, and the humor of their two directors. We value time singing in choirs at Forestview, and look forward to future choral experiences at Brainerd High School!